If you are looking for a pillow case that give you luxury and peaceful ambiance, then our White housewife pillow case would be a perfect choice for you. Our lavishly soft and sensuous White housewife pillowcase is made from the best cotton and polyester blend, with a 180 thread count that gives comforting feel to you as you rest your head after a long day. Our super soft pillow case is available in single size to fit perfectly to your existing pillows. Sizes available: 19" x 29"
We offer a stunning range of housewife and V-shaped pregnancy and orthopaedic pillow cases to ensure that you have a comfortable and cosy sleep. Ideal for every family, our pillow cases can be washed frequently to keep it clean and fresh for everyday use. Our pillow cases are made from premium quality polycotton casing with high thread count that is extremely soft and smooth to pamper your skin. 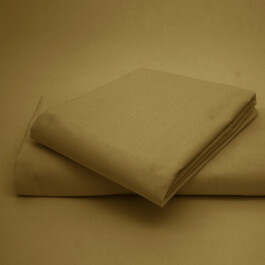 Our pillow cases are available in ample of colours to allure your bed. You can easily match them with your existing bedding sets. Apart from providing you support and comfort, our stunning pillow cases will easily compliment traditional and modern decor. Their sparkling hues will surely spruce up the overall ambiance of your room.